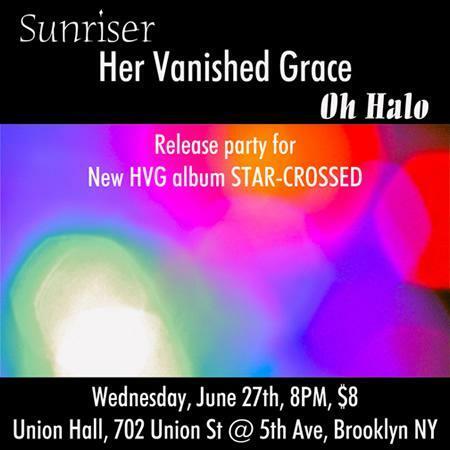 NYC dream pop band Her Vanished Grace will present their new album STAR-CROSSED on June 27th at Union Hall, 702 Union St @ 5th Ave in Brooklyn NY. Also on the billO Halo and Sunriser. Advance tickets can be purchased thru ticketweb.com.